The Ashaway badminton net with size regulation is suitable for full singles or doubles court. Attachable with ties to all posts, this quality net will stand intensive use, allowing you to enjoy the game for long. for submitting product information about Ashaway Badminton Net We aim to answer all questions within 2-3 days. for submitting product information about Ashaway Badminton Net. We aim to answer all questions within 2-3 days. If you provided your name and email address, we will email you as soon as the answer is published. Is this a full size net can I use it for league games? Yes, you can definitely use it for league games. Well made from great materials. Good price. 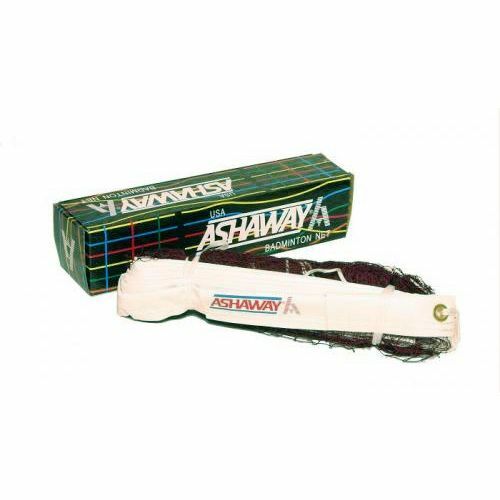 for submitting product review about Ashaway Badminton Net.